Have you reached a point in your life where you have drifted apart from your old friends? Maybe you’ve moved to new city and haven’t had time to meet people? Whatever the reason, you find yourself lacking companionship and doing most of your activities on your own. As we age, it can become harder and harder to meet people. Without the forced interactions that come with schooling and extracurricular activities, we may find ourselves facing the very real challenge of figuring out how to meet people whose presence you enjoy and that share common interests with. Luckily, in the age of technology we have a new way to reach out through apps. 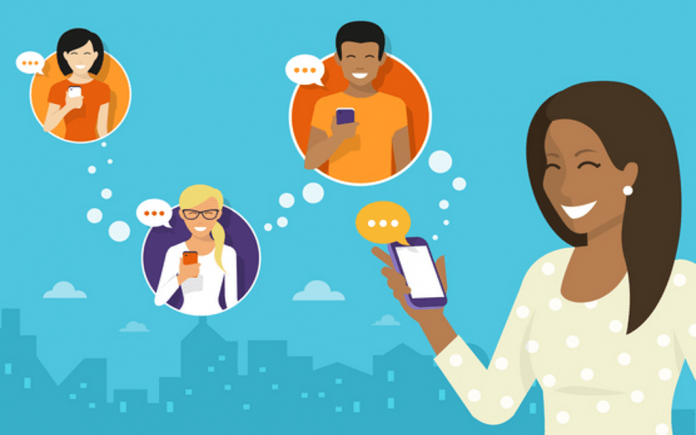 Read on to find 5 apps that will meeting new people a breeze. If you’re a shy guy always worried about messing up the first move, try Bumble! 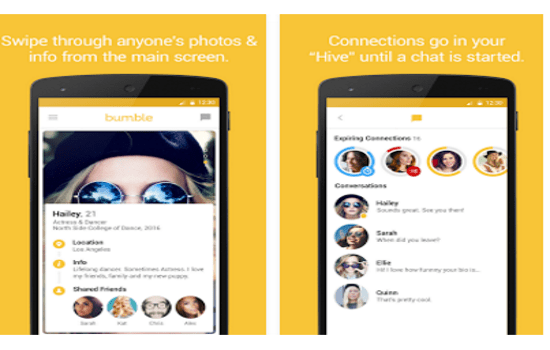 Bumble flips standard dating trends on its head by only allowing women to make the first move. It works very closely to Tinder in that both people have to swipe “yes”, but then Bumble says that women are the ones who have to start the conversation and matches will disappear after 24 hours. 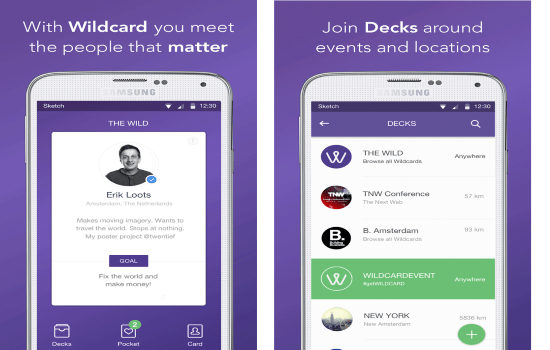 Wildcard is similar to Tinder but for networking. To participate, you create a “card” which shows who you are, what you do and what you’re looking for and then try to match with others. If your cards match, their card goes into your virtual rolodex. You can also create “decks”, which are groups of people based on their events or locations. These serve as a shortcut for finding potential connections. While this app’s name won’t win any awards for creativity, it certainly gets to the point. Party With A Local is exactly what it sounds like, it connects travelers to locals and expats who want to party! Reading TripAdvisor will never give you the same down low that a local can but this app makes it easy to know which random strangers are open to grabbing a drink with a tourist. It currently has over 50,000 downloads! The worst part of online dating is wondering if you will have chemistry face-to-face, but here’s Happn to the rescue. 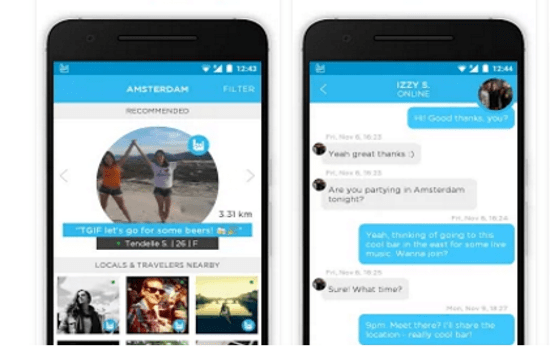 Happn does tap into showing you locals looking for love; but it goes one step further too. 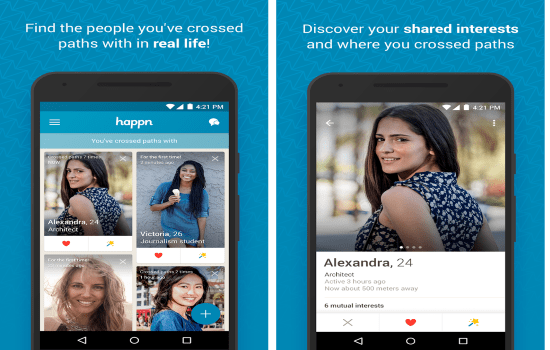 When you open Happn, you will see a list of all the people you have physically interacted with on that day who are single and looking. From there, you can reach out to people who caught your eye or who you shared a brief special moment with and see if they shared the same spark. Bonappetour is an app that combines great home cooking with interesting people. 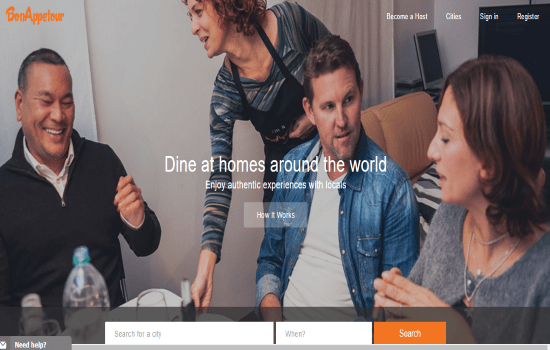 Using Bonappetour, you search your city and find a host having a dinner on a set night; you sign up as a guest and attend. Simple as that! The informal setting (Bonappetour meals are always held in private homes) with the food as a talking point will make opening up to other guests all that much easier. If you’re travelling or new to a city, it can also be a great way to learn more about the locale. Bonappetour is a fledgling app (so new you may not find it yet!) but their website is up and running and the apps are soon to be available everywhere.